I live in the New Jersey suburbs. I am grateful that we don’t have to battle rats, cockroaches, or other infestations that plague cities or other states. We do, however, have a few of our own seasonal critters that drive me nuts as a homeowner. Every spring, you’ll hear my familiar rants about the deer decimating my tulips. Right now, however, it’s the raccoons that are pushing my buttons. Summertime in our house means our garbage gets to cook inside a hot trash can for a few days before we can put it out to the curb once a week. The heat helps waft the tasty odors of smoked spare-ribs or lobster shells into the air, inviting raccoons to feast on our leftovers. It doesn’t matter how well you pick every last humanly edible morsel of food off bone or shell, the raccoons just aren’t as discerning and will come for it all. After coming out and finding a mess like this at least twice per week (and trust me, this photo isn’t even close to the worst we’ve seen. 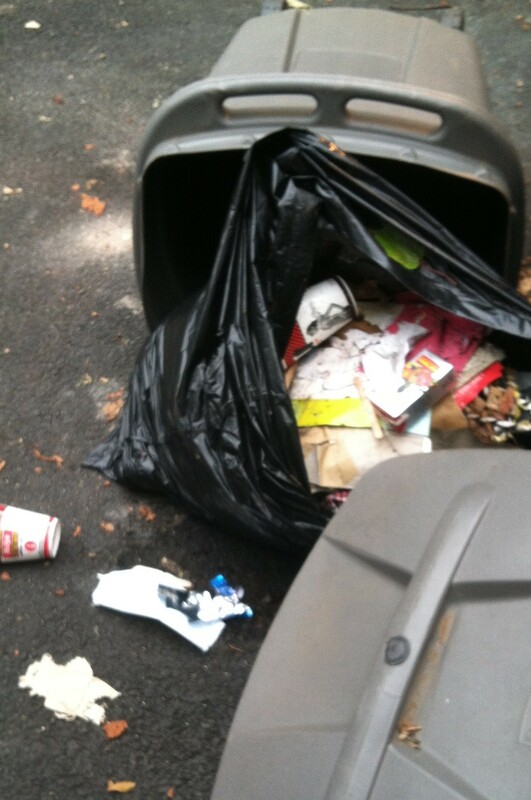 I was just calm enough about it to fetch my camera), I started really trying to raccoon-proof our garbage cans. We already have lids with notches on them to catch the grooves in the cans. While these lids are apparently human-proof and keep me from being able to throw anything away one-handed, the raccoons have figured them out. So I tried putting heavy logs or rocks on top of the lids, thinking that might work to protect our garbage. Not so much. Bungee cords worked to keep my garbage can closed from the raccoons during the week, but the garbage men only got it partially off, thereby leaving half the garbage still in the bottom of the can. 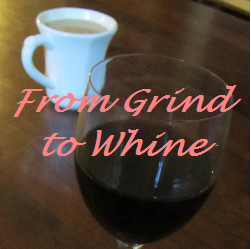 I was stymied and sick of picking up rotted trash and food waste from my driveway and surrounding garden. I resigned myself to the fact that this was just one of those annoying things I’d have to live with. Then I saw these on display while shopping in our local Costco. Mint-X garbage bags. They promised to repel rodents with the smell of mint and they had a big picture of a raccoon on the box. Mint repels raccoons? I was suddenly super excited. I didn’t race over and grab a box of these magic trash bags, though. Instead, I came home and marveled at our garden and planned my DIY solution. You see, my husband planted mint a few summers ago, when Mojitos became a popular summer cocktail. I had fond memories of chewing mint leaves fresh from my Nana’s garden, too, so I was definitely on board. If mint was supposed to be repellent to raccoons, I knew we had more than enough. 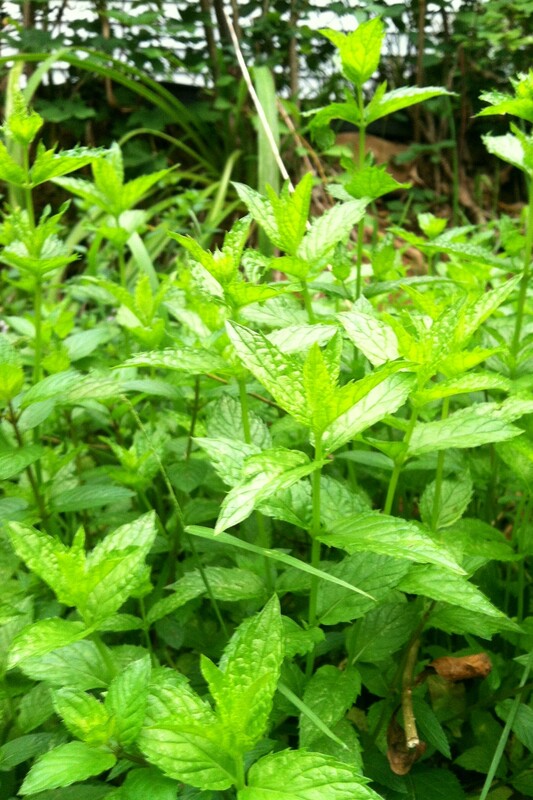 One thing you may not know about mint is that, once planted, it grows like a weed. Literally, like a weed. We never replant it. We never tend to it. Yet, every year, our mint crop almost doubles in size. The only thing we have to do is cut it back to keep it from taking over our tomato and basil plants. Still, the biggest benefit to growing fresh mint is that the kids don’t bug me for a snack close to dinnertime anymore. Yes, mint comes in chocolate flavor, too. Take a look. We grow both. That’s regular mint on the left and chocolate mint on the right. 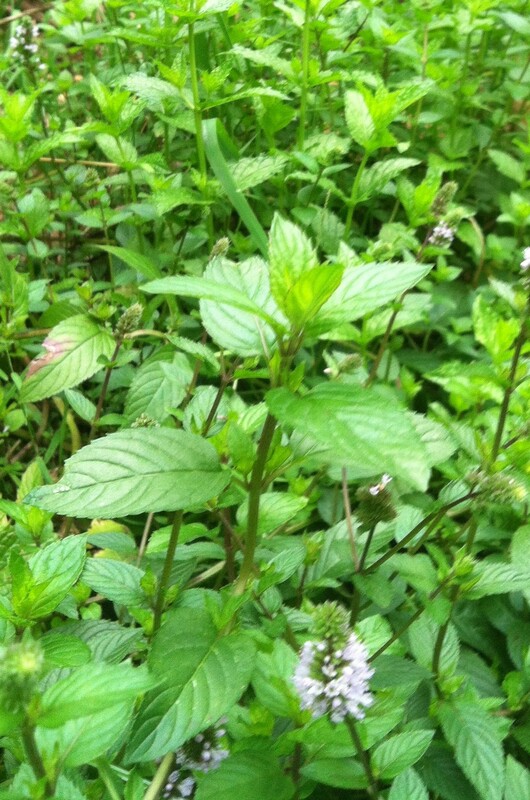 The chocolate mint has a darker leaf and brownish-red striations along the stalk and veins. It’s really called chocolate mint, too. I don’t think it tastes like a Thin Mint cookie or anything, but my kids love it. Good enough for me. So now I have a plan. I’m going to line the bottom of our garbage cans with mint. Sandwich a few mint stalks between garbage bags. Crush some mint between the lip of the can and the lid itself. I have enough of the stuff to go a long way. If it works, I’ll be sure to update and start charging for our mint crop. At the very least, my garbage cans should start to smell a little better. I’ve had them raid my cooler when camping, they are champs at opening things. thanks for the idea. Just found this product. I thought you might like it. Yes, Kate, it really does work! My only regret is that our mint is now all dead for the winter, so I can’t pull any for raccoon-prevention until spring! Revisiting this post now that I see it’s turning up on people’s search results. I can definitely say that grabbing 2 or 3 shoots of mint from our garden and putting them inside and on top of the garbage cans IS WORKING!!! The instant I forget to do that, the raccoon come back. But with mint, they stay away. FYI…spell-check just informed me that raccoon is the correct plural version and raccoons is wrong. Who knew?